With a planned cartoon series coming up, partnerships in place with Major League Baseball, NBCUniversal and other media companies of heroic proportions, the founders creating the kids clothing phenomenon, Cubcoats, are on a roll. Peak Theory, launched by longtime friends Zac Park (who’s 29) and 35-year-old Spencer Markel, is the company behind Cubcoats, a hoodie that transforms into a puppet stuffed animal (or a puppet stuffed animal that transforms into a hoodie?). With their first product, the two founders have achieved the kind of viral success in its first year that most companies only dream of. Markel, a former mergers and acquisitions lawyer with DLA Piper, and Park, a product director at the design agency AKQA, first met in San Francisco through a mutual friend, and almost immediately began planning their escape from the corporate world. The two self-described kids at heart hit upon the idea of Cubcoats through a mutual love of Transformers and Mighty Morphin Power Rangers as children (and maybe as adults as well). “We don’t have any kids, we were just big kids,” said Markel. They started the process of creating hundreds of prototypes in September 2016, and by November of 2017 had hit upon the final designs for eight different puppets that turned into zippered hoodies for children. Each animal-inspired puppet had different characteristics and personalities and each came with a story tied to it. The two-in-one clothes went viral. In its first full year, Cubcoats expects to pull in somewhere between $2 million and $5 million in revenue, according to the two founders. By July, 2018, the company had sewn up $5 million in financing from a who’s who of entrepreneurs and celebrity investors. Institutional investors, including strategic partner Major League Baseball and celebrity investor Will Smith’s Dreamers Fund, came on board. 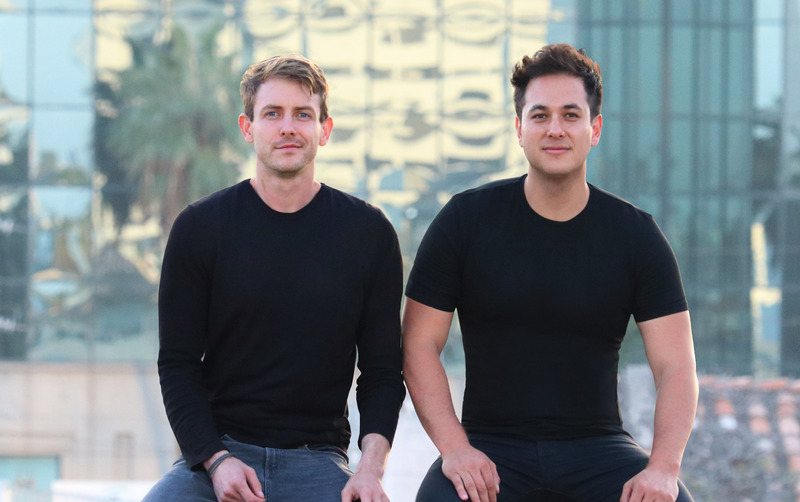 So did individual angel investors like FabFitFun co-founders Daniel and Michael Broukhim, the actress Hilary Duff, Schwarzenegger scion, Patrick Schwarzenegger and Jen Rubio, the co-founder of Away. The Harmon Brothers video production company, which is behind a number of direct-to-consumer marketing hits like the mattress company Purple and others is collaborating on a series of videos with the Peak Theory team and investing in the company, as well. Big media and entertainment companies are already clamoring to work with Peak Theory, the company said. Professional sports teams and leagues like Major League Baseball are only the first companies to publicly disclose their interest in the company. The company plans to expand the Cubcoats line to Canada, Australia and across Asia in 2019 — meaning popular favorites like Kali the kitty and Tim* Pimm the puppy will be popping up in cities from Sydney to Seoul in addition to Seattle. Peak Theory has partnered with Nordstrom for the holiday season to sell its Cubcoats in roughly 100 of its locations and will have pop-up shops of its own at The Grove mall in Los Angeles and the Americana mall in Glendale, Calif.